Defender James Donachie admits Melbourne Victory need to recharge their batteries after a first-up defeat to Daegu FC in the Asian Champions League. The defending A-League champions went down 3-1 at home, despite taking the lead through Swedish striker Ola Toivonen. They will have the benefit of a rest before they play their next game in Group H, when they travel to Japan to face Sanfrecce Hiroshima. Victory have no A-League game this weekend, a break that's badly needed given that they have now gone five games without a win. Having to play a Grand Final re-match at home to Newcastle Jets last weekend, which they lost 2-0, made it a tough ask for the players to get through their first ACL clash. "Rest is the most important thing. In the second half against Daegu, I think our boys showed we were struggling a bit," said Donachie. "Not to take anything away from Daegu as they were better than us. We just need to rest well, especially in Japan which'll be a tough game again." 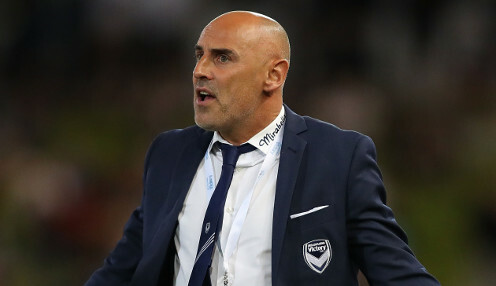 Kevin Muscat's team started their ACL campaign at a tough time, given that they had picked up just two points from their last four league matches. The club have struggled in the competition and have only made it past the group stage once in their previous six appearances in the ACL. Victory and Sanfrecce are the two teams without a point from their opening games, with the Japanese side having gone down to two first-half goals in their 2-0 defeat away to Guangzhou Evergrande. Melbourne Victory are 2/7 to win their next game against Brisbane Roar, who are 10/1 with the draw 19/4.